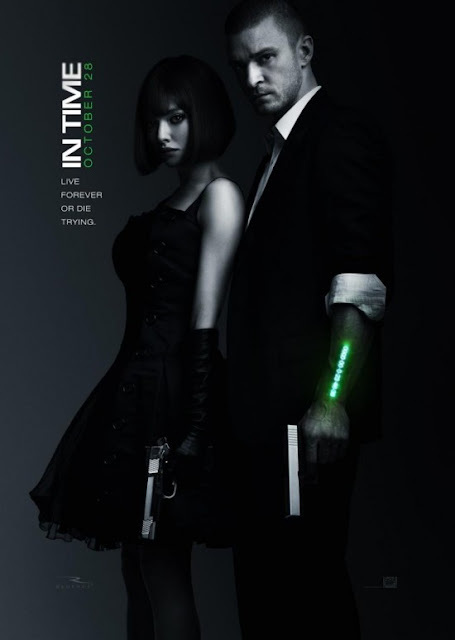 Check out "In Time" movie poster and teaser trailer for the upcoming Justin Timberlake and Amanda Seyfried movie project. "In Time" stars Justin Timberlake (Friends with Benefits, The Social Network), Amanda Seyfried (Red Riding Hood, Chloe), Cillian Muphy, Vincent Kartheiser, Alex Pettyfer (Beastly, I Am Number Four), Johnny Galecki, Olivia Wilde and Matthew Bomer. “In Time” hits theaters on October 28, 2011.